It doesn’t matter whether you are a first-time homebuyer or a very experienced one, the expertise of a loan specialist to guide you through the homebuying process is essential. 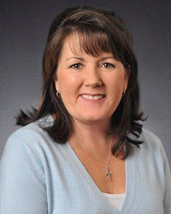 Maureen has over 20 years of experience in home financing and will educate you on all the available lending options. She will make sure you choose the right loan program for you and your family. With so many financing options offered today, contact Maureen Knudson to set up an appointment. She will walk you through the process with great rates and exceptional service.